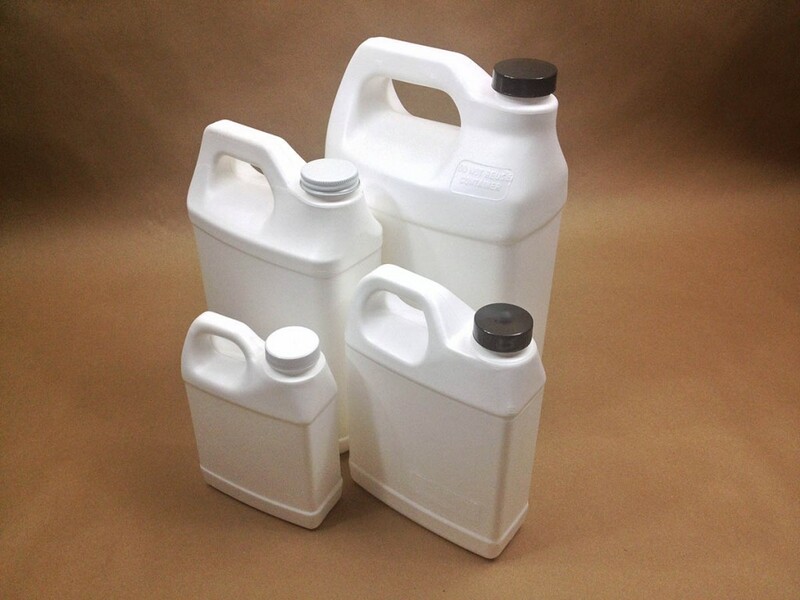 Our fluorinated plastic jugs range in size from 16oz to 1 gallon. These are f-style jugs and can be provided with polypro, phenolic or metal caps in a variety of linings. 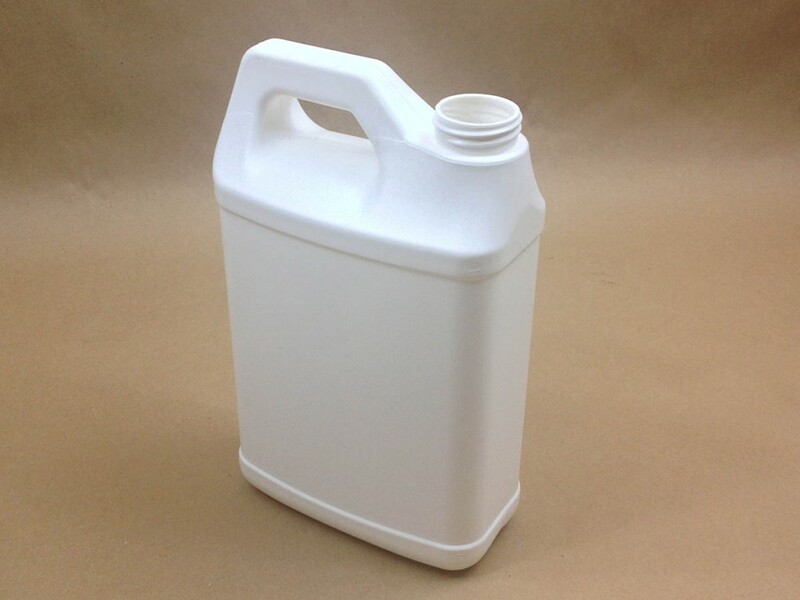 Fluorination is a chemical (and partially mechanical) process where the containers are placed in a sealed chamber that is filled with a low percentage of nitrogen and fluorine gas. The exposure oxidizes the inside and outside surface of the container creating a polar cross linked surface. This surface change forms a much more effective barrier blocking non-polar hydrocarbons by factors of 10-100 or higher. Note: In some cases; as is the case with our stock fluorinated packaging, the fluorine treatment is done as part of the production process and not as post production process. This is known as inline fluorination. Another distinction of inline fluorine treatment is that it is applied to inside of the bottle only and is not offered in levels. If you think of polyethylene like a net where smaller items can get through and larger items can’t then fluorine barrier treatment can be thought of as simply filling the holes in that net, or more accurately making them much smaller and significantly reducing permeation. There are a variety of reasons for using fluorine treated packaging. Most revolve around keeping things in (odor, vapor, evaporation) or keeping things out that might interact with the product. It may eliminate the need for flame treating or other surface treatments for labeling or printing applications and is approved by the FDA as safe for food for pharmaceutical applications.